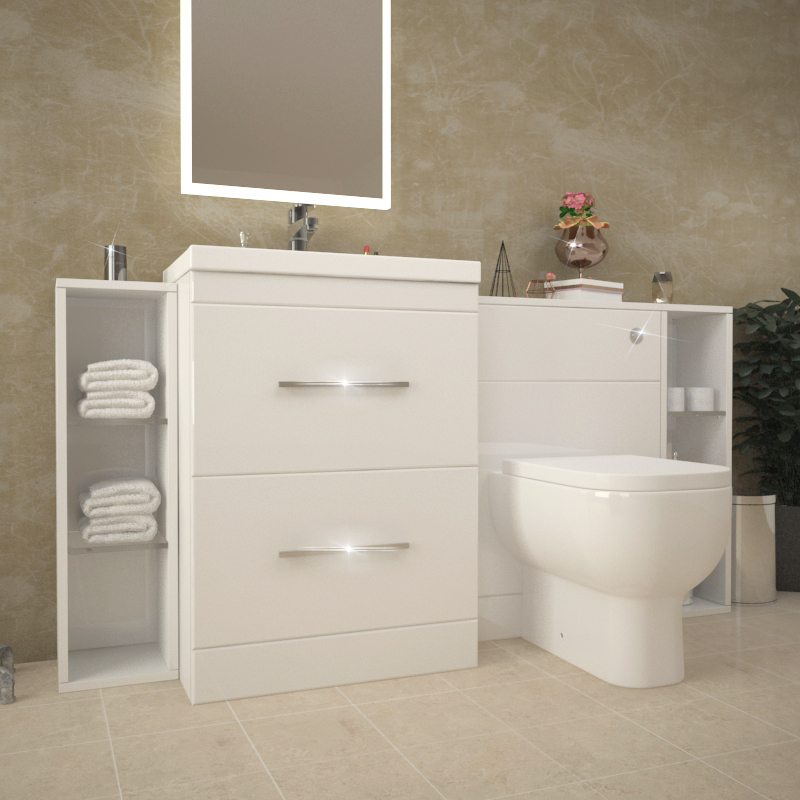 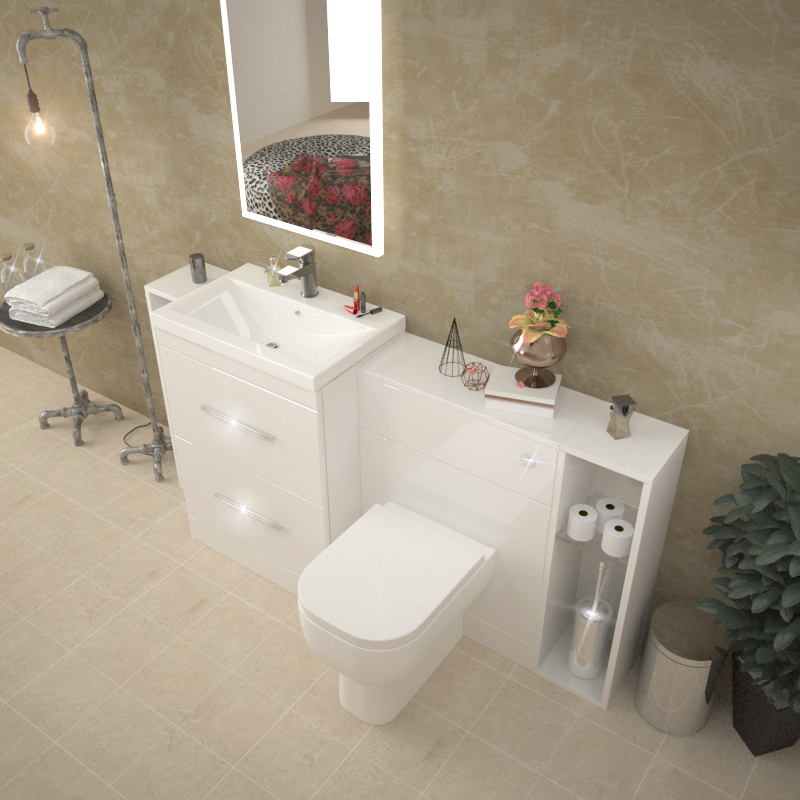 This white Patello 1600 acrylic combination bathroom set is just one of the options available in the Patello range. 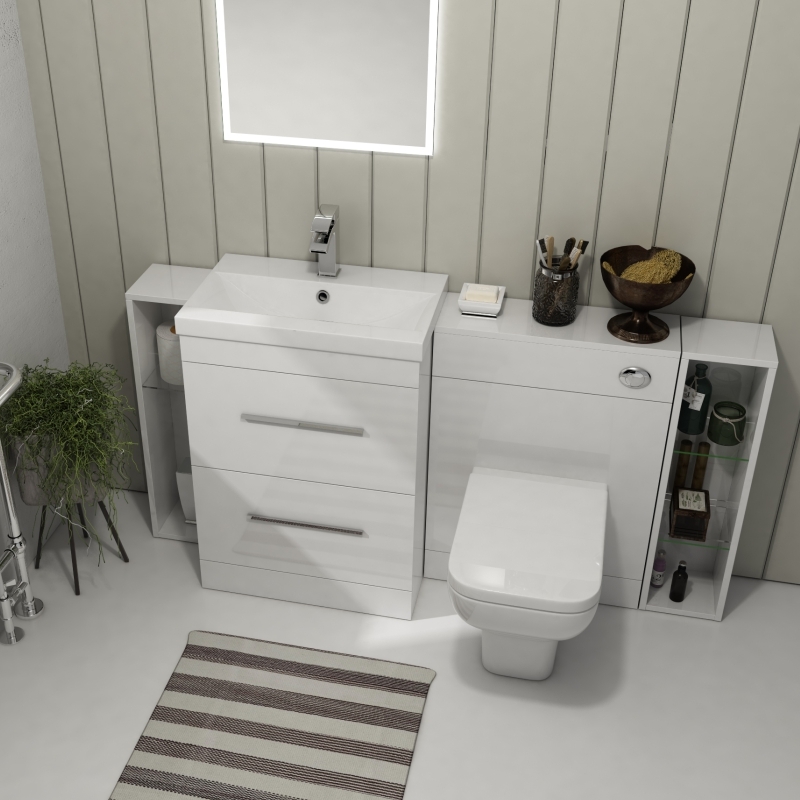 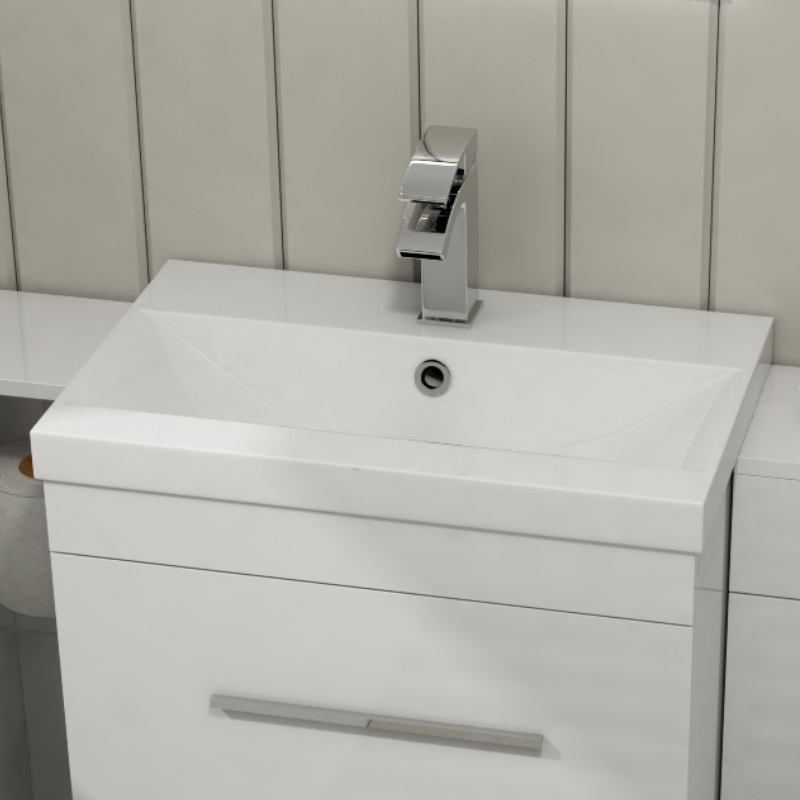 Consisting of four units that are versatile and can be rearranged to suit your existing plumbing needs, this stunning furniture set tends to be a real head-turner. 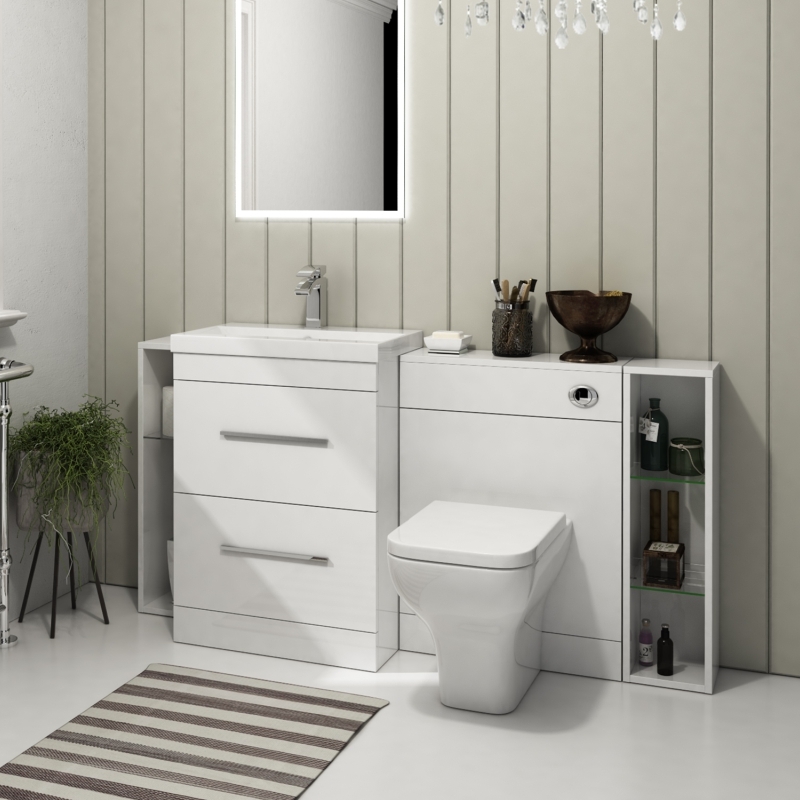 Consisting of one Patello 60 Unit and two Patello storage units, this acrylic glossed furniture set will perfectly complement a modern suite. 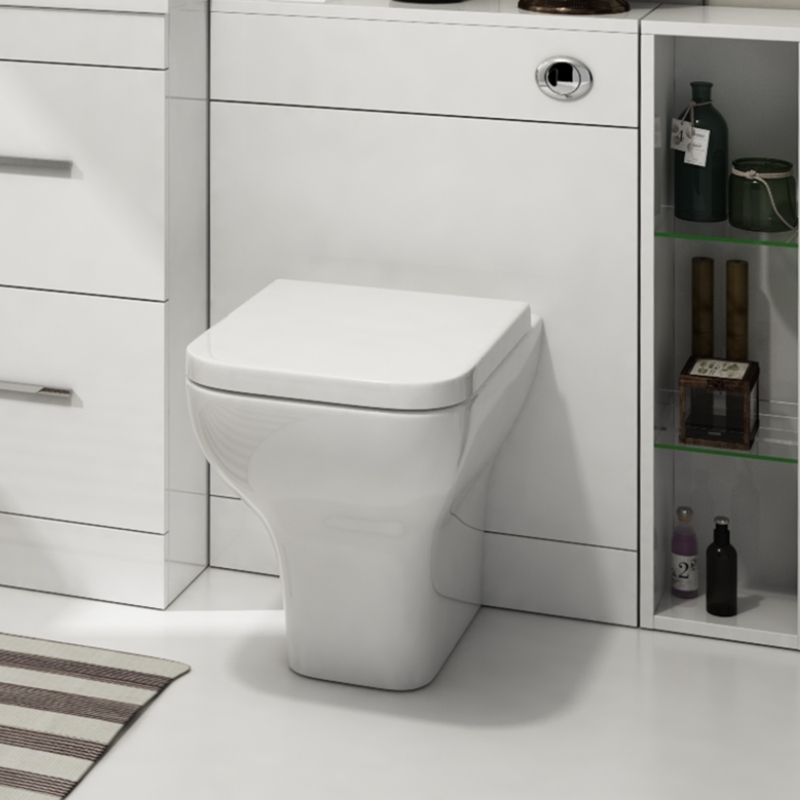 Also, it comes with 2 Patello 200mm open storage units, both ideal for your toilet brush toilet rolls and accessories.